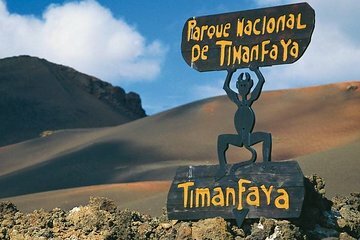 Travel from the waterfront cities of Lanzarote to Timanfaya National Park—one of the top natural attractions on the island. After you arrive in your air-conditioned bus, enjoy the park's colorful, rugged landscape, and see many of its plentiful volcanoes and craters. End your day with a stop at La Geria, Lanzarote's grape growing region, for a taste of the local wines, included in the price of the tour.